I am eagerly anticipating a new iPhone 3G S (and OS 3.0) later this week as I write this post on my still excellent first generation iPhone. 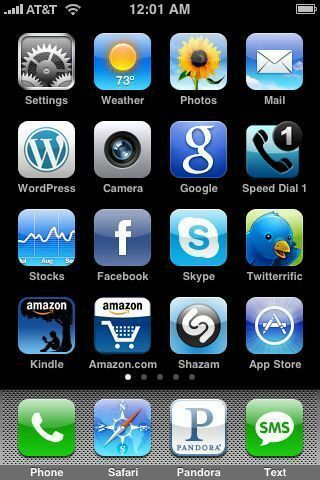 I am brewing a separate post about mobile phones but I wanted to share a brief observation: most of my favorite apps have blue icons. Pandora – plug into your stereo and be amazed! Google – voice search can be super fast and easy. Trying to train myself to use it more. « Backups. The right way.